We are looking forward to the cold weather and our Winter Ice Festival schedule. Starting Saturday January 19th and running through March 2nd, find one near you and come join us! Friday January 25th – Sunday January 27th at Lambertville – New Hope – Winter Festival. The ice portion starts Friday afternoon and extends into Sunday with live carvings at 1:00 PM on Saturday and 1:00 PM and 4:30 PM on Sunday. Check out for their site for many events happening those days and throughout the Winter Festival. Friday January 25th – Saturday January 26th at Mount Holly Fire & Ice Festival. 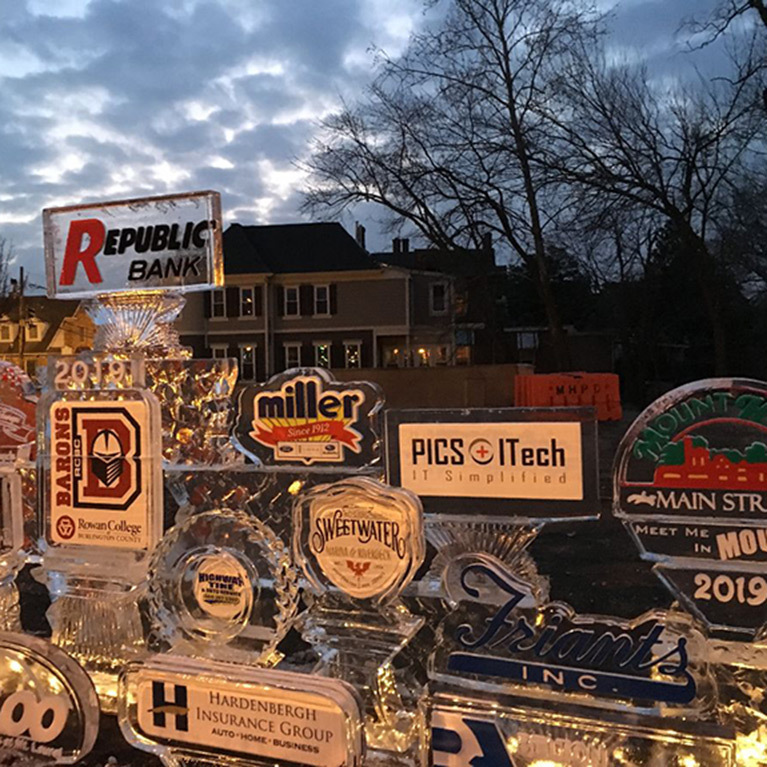 The ice portion starts Friday afternoon and extends into Saturday afternoon with an extensive ice sponsor block presentation starting Friday. Live carvings on Saturday will be happening by local talent from all around the area among many other events. Friday February 1st and Saturday February 2nd at Upper Dublin Township to celebrate their 300th Centennial Anniversary. Friday from 7 PM- 9PM and Saturday from 4PM – 8 PM. Friday evenings activities will include an ice bar, beer garden and many wonderful food trucks. If inclement weather forecast for Saturday night, fireworks will happen Friday night. Saturday evening, enjoy the Ice Throne, Eskimo Photo Display, On-site Carving and Ice Slide. More wonderful food trucks for Saturday night, movies and much more as well as fireworks at 8 pm. 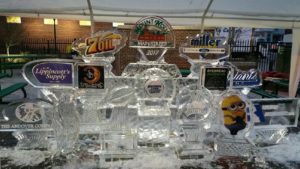 Friday February 8th – 10th at Downtown Carlisle, PA, UPMC Pinnacle Ice Art Festival. The ice portion starts Friday at dusk and extends through Sunday afternoon. Live carvings will be happening at 11:00 AM and 2:00 PM on Saturday. Check out their site for many other events and offerings. Saturday February 16th at Laurel Park Raceway, Laurel, MD. Times to follow. Horseshoes frozen in ice, life-size race horses and live carvings are some of the few happenings of the day. Created from 40 gallons of water and six solid blocks of ice, the seven feet tall 1,800 pound ice horse sculpture is something to behold. Take a behind the scenes look at how they're made. 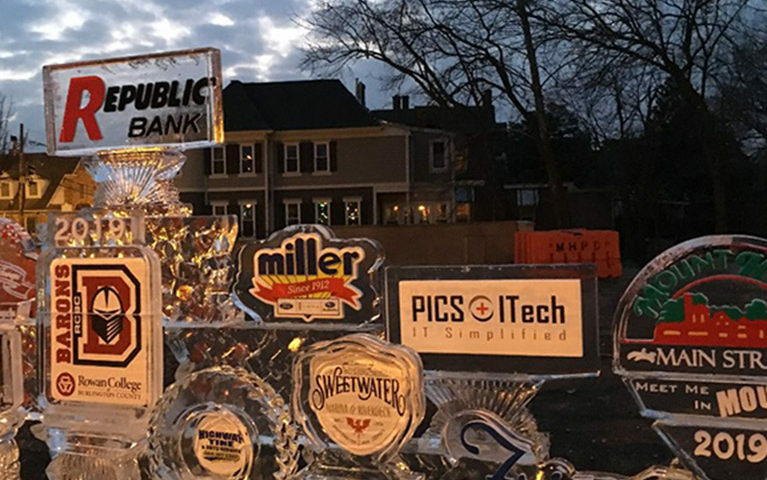 Saturday March 2nd at Downtown Harrisburg, PA. An ice slide, sponsor ice displays and larger multi- block designs are all a part of this days many events lasting from 1:00 PM – 9PM.